Good Eater is a site-specific installation about food and motherhood that was created for the arbor in the Eagle Heights Community Gardens in Madison, Wisconsin in 2010. 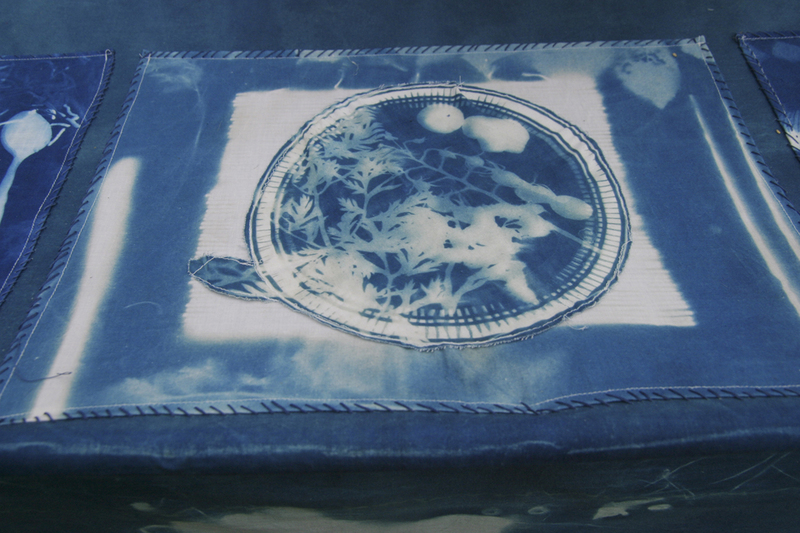 The centerpiece was a floating table created by mothers in the Greetings From Motherland workshops using cyanotypes on fabric, a type of photographic printmaking. Hanging above the table was a serving platter and bowl with food from the garden that people could sample from and contribute to. 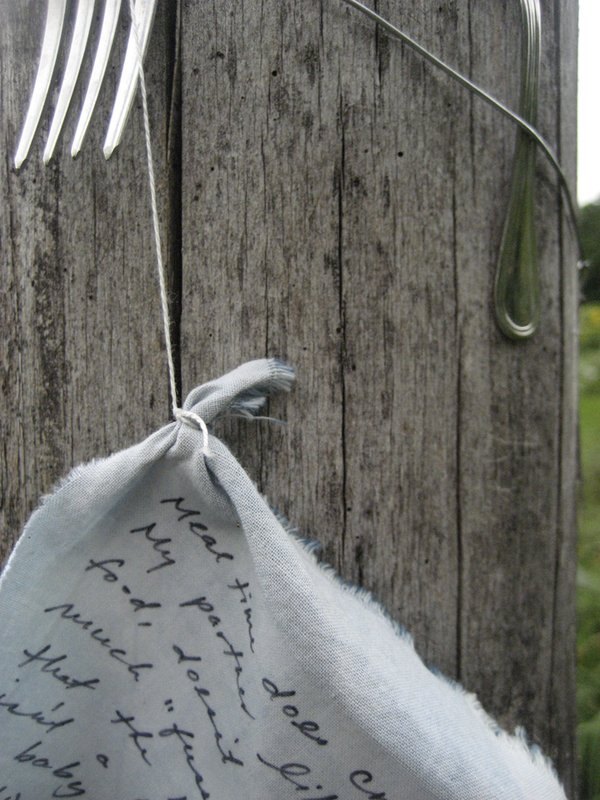 In the rest of the arbor hung plates with cyanotypes and quotes from the women in the project about feeding their children, and napkin rings containing napkins stitched with questions that we posed to the audience. Viewers were encouraged to peek at the napkins and contribute their thoughts by writing on fabric and adding them to the installation. Good Eater was featured in At The Table: Mothers Sharing Their Stories Through Art, a documentary short by filmmaker Brijetta Hall Waller (see below). It screened at the Wisconsin Film Festival in 2011 and was featured on “Director’s Cut” on Wisconsin Public Television. Good Eater is a Greetings From Motherland project.